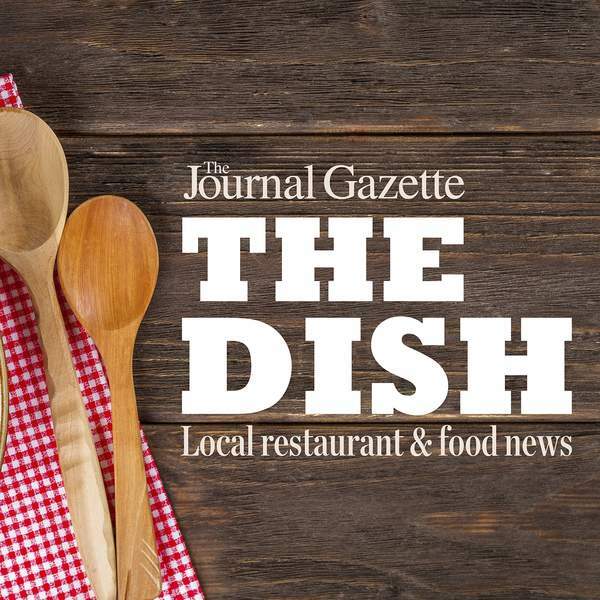 Between a hearty pasta dish and a savory steak Caesar salad, Casa Ristorante locations are showing off a healthier side with their spring menu. The seasonal features list includes a pizza made with a cauliflower crust and an Italian broth bowl. Thomas Parisi, director of operations for Casa, says the restaurants are doing their best to stay on top of trends and guest demands. Indeed, as more diet protocols such as keto, paleo and vegan become more mainstream, consumers are looking for restaurants to amend offerings. According to a 2017 article from Forbes, the number of people eating gluten-free had tripled from 2009 to 3.1 million. There have been niche restaurants in the area – for example, Pembroke Bakery, 300 E. Main St. – that have catered to those with allergies or other needs. However, local “mainstream” restaurants are stepping up to offer alternatives as evidenced by Casa's spring menu. These local spots are often filling the gaps left behind by chain restaurants for people who either have allergies or have chosen to adopt a particular lifestyle. While national coffee houses offer sweet breads and croissants, local shops such as Mocha Lounge (6511 Covington Road and 4635 E. Dupont Road) and Firefly Coffee House (3523 N. Anthony Blvd.) offer paleo, gluten-free and dairy-free baked goods in addition to traditional favorites. At Firefly, all of the baked goods are made in house. There's meatless sausage for breakfast sandwiches and a quinoa burger on the lunch menu. When Courtney Hamm began selling gluten-free goods at Courtney's Bakery, 7773 Coldwater Road, she was one of the few to do so, she says. Even today, she still hears that it can be challenging to find gluten-free, sugar-free and dairy-free baked goods. At Casa, the crust of the cauliflower pizza is thin and crispy, and it is topped with oven-roasted chicken, mushrooms, bacon, red onions, spinach, light garlic mayonnaise and cheese. The Italian broth bowl is made with vegetable broth, mini farfalle pasta, broccoli, carrots and edamame. Guests can add protein for an additional charge. As restaurants continue to adapt to consumers' changing palate and dietary needs, Burger King is testing a new product in select markets. It was announced last week that 59 Burger King restaurants in and around St. Louis will be testing the Impossible Whopper – a flame-grilled, plant-based patty topped with freshly sliced tomatoes, fresh lettuce, mayonnaise, ketchup, crunchy pickles and sliced white onions on a toasted sesame seed bun. The offer makes Burger King the first coast-to-coast quick-service restaurant to serve the plant-based meat from food startup Impossible Foods, maker of the Impossible Burger. If you are looking for a similar burger in the area, BurgerFi at 7777 Coldwater Road offers the Beyond Burger – a plant-based patty from Beyond Meat that reportedly tastes like beef. It's time to hop to it! Easter is right around the corner, and I'm sure restaurants' reservation books are filling up fast. • Triangle Park, 3010 Trier Road, will be open from 11 a.m. to 9 p.m. April 21. In addition to its popular Sunday brunch and dinner menu, the restaurant will also have a baked Ossian ham dinner with au gratin potatoes, vegetable and salad. The cost is $16 for adults, $14 for seniors and $6 for children. For reservations, call 482-4342. • Ruth's Chris, 224 W. Wayne St., will have an Easter brunch buffet from 10 a.m. to 2 p.m.
• Smokey Bones, 1203 Apple Glen Blvd., will offer a Southern-style Easter brunch. The $20 meal will include five courses – Southern buttermilk biscuits with honey butter; choice of St. Louis or Baby Back Ribs; Southern Eggs Meaty Skillet; choice of a large Belgian waffle or a full skillet of cornbread; and a waffle sundae or fresh doughnuts. Bourbon brunch cocktails, bloody marys and mimosas will be available for an additional cost. There will be a chicken and waffles plate for kids for $6.29. • For Easter, Waynedale Bakery on Lower Huntington Road will have special offerings. Pineapple upside down cakes and Boston cream pies will be $15 for an 8-inch dessert and $20 for a 10-inch dessert. A Fruit Basket Cake, for $35, features white cake with layers of cherry, pineapple and banana filling with whipped cream icing. Spring-shaped iced sugar cookies are $12 a dozen, and Hot Cross Buns are $10.80 a dozen. To order, call 747-2992. In the past six months, Joseph Decuis has led diners on a culinary journey across the world, offering bites into cultures unfamiliar. Executive chef Marcus Daniel, with input from others, has created menus inspired by Nigeria, Taiwan, Tibet and Spain. And next week, Joseph Decuis will make another journey – this time to Tanzania. Offering input is Nkonye Mwalilu, who teamed with the farm-to-fork restaurant in Roanoke for the Nigerian meal, as well as her husband, Stephen. A social hour with appetizers and African inspired cocktails starts at 6 p.m. April 19 followed by family-style dinner at 6:45 p.m. The menu will feature a fusion of Tanzanian and African flavors joined with the Joseph Decuis Farm produce and Wagyu beef. The cost of $50 per person for the meal includes appetizers, dinner and a welcome cocktail. Additional costs include additional drinks, tax and gratuity. For reservations, call 260-672-1715. There is a suggested $10 contribution in addition to the dinner (with additional donations welcome) to benefit the nonprofit organization Kagera Advancement Inc. on whose board both Nkonye and Stephen are members. Founded in 2014, KAI is a Fort Wayne-based organization whose primary focus is to improve education and health care in Tanzania. Third-grade students at Jefferson Elementary School in Warsaw recently learned about the power of persuasion – and a good pizza. As part of a project, students wrote letters to Pizza Kingto persuade the restaurant to put student-made pizzas on the menu. Ruby Shaffer in Liz Cauhorn's class won with her Italian sausage, bacon, mushroom and tomato pizza, and Katie Robertson in Karis Miller's class also won with her red and green peppers, sausage, pepperoni and bacon pizza. The pizzas will be on the menu at Pizza King until the end of April. The pizza with the most sales will be the winner of the project. A portion of proceeds from each pizza sold will be donated back to Jefferson. • Now that Metro Diner is closed, a reader wrote in asking about where to get avocado toast. The popular and ubiquitous avocado toast can be found on brunch menus at the hippest of restaurants, including here in Fort Wayne. The Friendly Fox on South Wayne Avenue and Conjure Coffee on Columbia Avenue are the first two spots that come to mind. • There's a new food truck in the area. 3StageBBQ serves up its hand-crafted smoked sausages, such as its smoked Philly steak and cheese brat, and other barbecue favorites to fans in Decatur. It had its grand opening Tuesday. Follow 3StageBBQ on Facebook for more on its menu and where to find the truck.